Australian researchers have developed the “first rigorous framework” on how to relocate animals displaced due to climate change. The study, conducted by academics from four Australian universities and the Commonwealth Scientific and Industrial Research Organization (CSIRO), devised a formula on how to decide whether to relocate a species, which species to prioritize for reintroduction and where and how to move them. 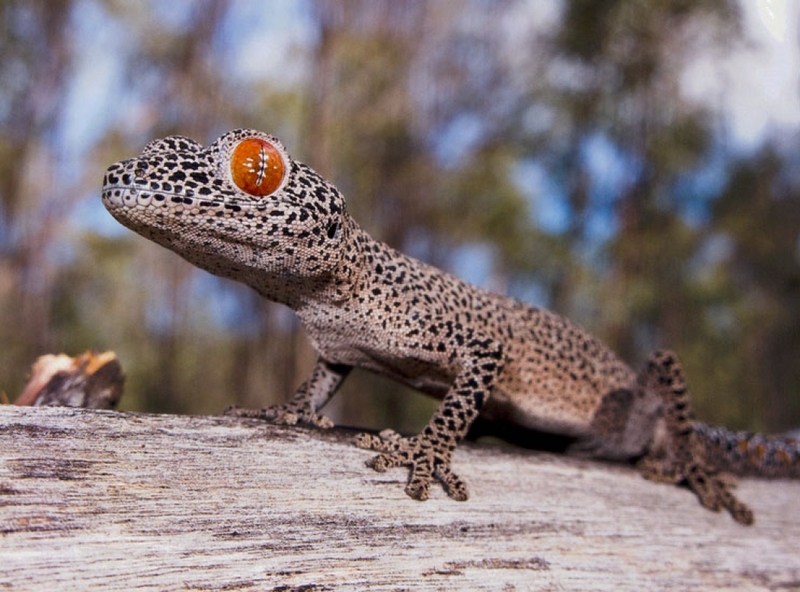 The golden-tailed gecko of central western Queensland could be wiped out by a 3.6°-5.2°F rise in average temperatures. The work follows a request by the International Union for Conservation of Nature for a new process to assess species relocation. Rising temperatures are expected to have a significant impact on Australian species, with the recent Intergovernmental Panel on Climate Change report warning that a 3.6°-5.2°F rise in average temperatures will wipe out 21-36 percent of Australia's butterflies, while the loss of nearly half of appropriate habitat in Queensland will spell doom for 7-14 percent of reptiles, 8-18 percent of frogs, one in 10 birds, and 10-15 percent of mammals. Tracy Rout, of the School of Biological Sciences at the University of Queensland and co-author of the relocation study, told Guardian Australia that moving species was a contentious one among scientists. The key values fed into the formula are the status of the animals to be moved, the prospects of the animals at a new site and their impact on existing species in the new area. Rout said that the process of relocating threatened species is already underway, with plans to move the western swamp tortoise from its rapidly drying habitat on the fringes of Perth. There are also proposals to move the endangered mountain pygmy possum, which is considered vulnerable to warmer temperatures.